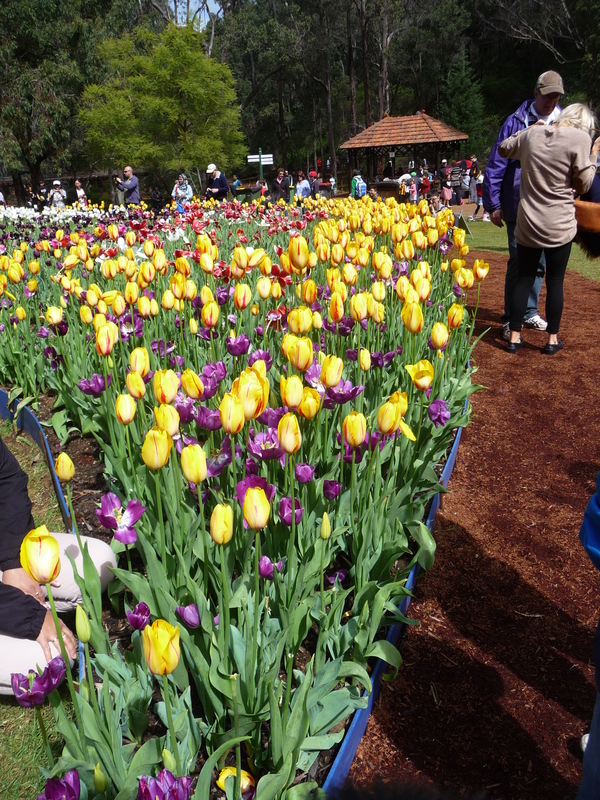 Feeling a little bereft as we adjusted to being “empty nesters” following the departure of Mlle Chic Fille on her big adventure, Monsieur Le Chic and I took ourselves off to the the Araluen Botanic Park last weekend. This beautiful park is situated to the south of Perth in the Darling Ranges and we fortuitously, (more by accident than design), found ourselves in the midst of their Spring Festival! More to the point we were in the midst of tulips and they were absolutely glorious! We were probably a week or so late for the absolute peak of tulip perfection but they were still magnificent nevertheless and we wandered round feeling better for the fresh air and beautiful surroundings. After a while we began to wonder why most of the food stalls were serving Turkish food and why there was a performance by a troupe of Turkish dancers. In my ignorance I had always associated tulips with Holland and this is true – they have become synonymous with the Dutch. However originally they were introduced to Turkey from Central Asia, (possibly Persia no one really knows their exact origin) and they were extremely popular in the times of the Ottoman Empire in the mid 1500’s. The organisers of the festival had put on an excellent exhibition which explained the Turkish (and later the Dutch) heritage of the tulip. Indeed the Turkish Sultans seem to have become quite obsessed with these lovely flowers. 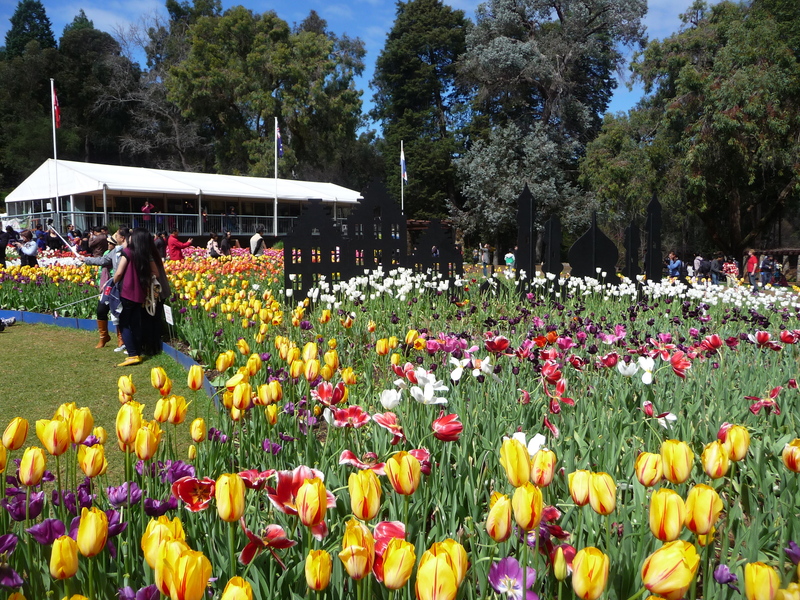 On the “Tesselaar Gardening At Its Best” website (https://www.tesselaar.net.au/), it describes how during the reign of Sultan Suleiman 1 (1494 – 1566), tulips became highly prized and were cultivated for the pleasure of the Sultan and his retinue. By the reign of Sultan Ahmed 111 (1703 -30), in what became known as the “Age Of The Tulips”, you could be exiled if you bought or sold tulips outside of the capital. 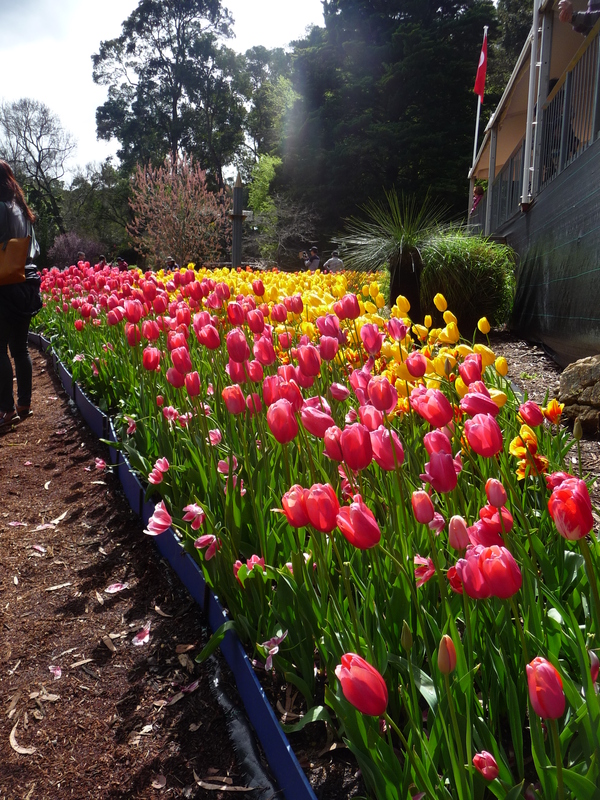 It was also around this time that Tulip Festivals began – these were held at night during a full moon. The Dutch did of course develop their own brand of “Tulip Mania” but later on and only after the tulip was first introduced to Europe by the impressively named Ogier de Busbecq, the ambassador of Ferdinand 1 Holy Roman Emperor, to the Sultan of Turkey. In the Netherlands the Flemish botanist, Carolus Clusius, is generally credited with encouraging the cultivation of the tulip from around 1593, when he took up a post at the University of Leiden. Because it was such an unusual flower compared to anything previously seen in Europe and with such intense and beautiful colours, it kicked off quite an obsession. Tulips became a status symbol – affluent merchants had flower gardens planted to show off their beautiful tulip displays. There was also a school of thought promoted by Charles Mackay in his 1841 book, “Extraordinary Popular Delusions and The Madness Of Crowds”, which claimed that the tulip mania reached such a peak in March 1637, that it led to a huge crash in market value due to the over inflation of the prices. In effect a sort of “tulip bubble” which led to many investors suffering big financial losses. Whoever would have thought ….one learns something new each day! 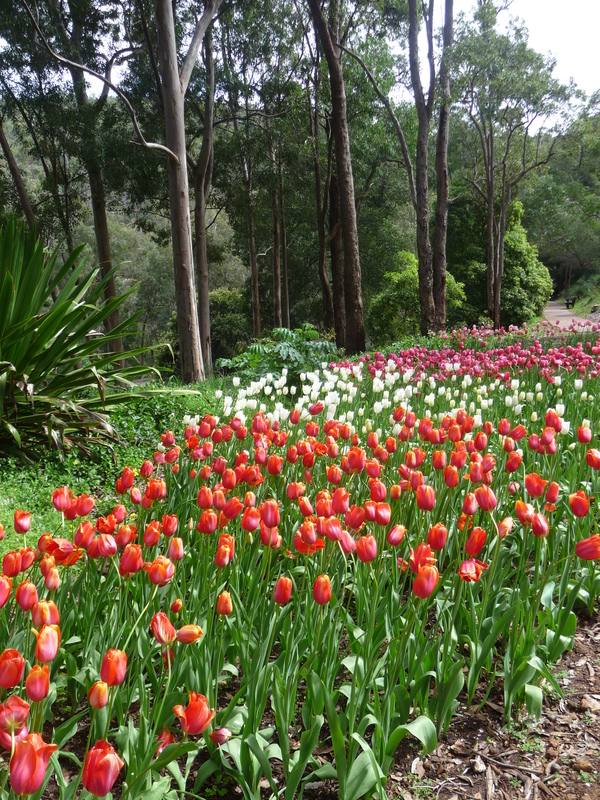 Gorgeous pictures Rosemary – tulips are my favourite flower, some fabulous colours here. I too associated them with Holland, now I have learned something! Enjoyed this post a lot. Very interesting post! I also associate tulips with Holland… even though I did hear something about Persia, I did not know the whole story. Nice pictures, I love tulips! Thanks, Ros, that was lovely. Really interesting to hear about the Turkish story as I didn’t know about that before. An outstanding post! Love the pix and the info!